To Amy, everyone has a flavor. Her mom is the flavor of mint--sharp and bright. Her dad is like hot chocolate--sweet and full of gentle warmth. 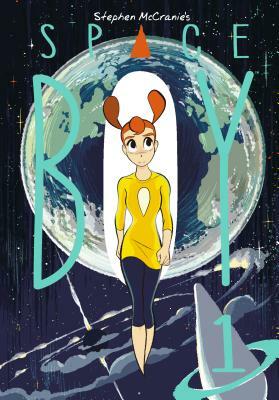 When Amy arrives on Earth, she feels like an alien in a strange land. The sky is beautiful but gravity is heavy and the people are weird. Stranger still is the boy she meets at her new school--a boy who has no flavor. Stephen McCranie is the writer and illustrator for the Space Boy and Mal and Chad, all-ages graphic novel series. Stephen grew up drawing comics from an early age. He eventually earned a Fine Arts degree at the University of New Mexico. Stephen originally created Mal and Chad as a comic strip for the UNM school newspaper.